This is another post similar to the previous one as I have been lucky enough to have been nominated for the Versatile Blogger Award by the lovely Laqueerisa who has an amazing blog which if you haven't seen before you can check out HERE. This is such an amazing achievement that I felt like I should do the questions, so sorry if you are were expecting a nail polish review or design, the next post will be nail related, promise. 1) Nominate 12 bloggers who are relatively new to blogging. 2) Let them know you have nominated them. 4) Thank the blogger who nominated you by linking there blog. 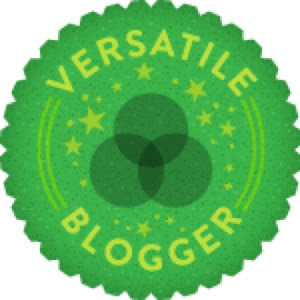 5) Add versatile blogger award to your post. 1) I am like a magpie (but for nail varnish) when I enter Superdrug or Boots I just head straight to the nail varnish section no matter what I have come in for. 2) I wish I had the guts to pull off more neon or bright coloured nail varnish as it always looks good on other people. 3) Whenever there is a 3 for 2 sale on any nail varnish, I go crazy and come out with way more nail varnish than anyone needs. 4) I am a sucker for nice packaging on a nail product, I am drawn to that product despite the brand or price. 5) I love it when magazines come with free nail varnishes because it means I can try out new brands I have either never heard of, or are sometimes more expensive than I would normally spend. 6) I love reading nail blogs! Reviews, nail art or product reviews I'm a sucker for anything nail related! 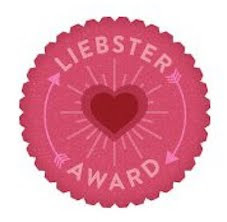 That was surprisingly harder than I though because I had to think of different facts to those in my Liebster Award post which if you haven't seen yet you can HERE. Okay and now on for my nominees, this was a quite hard because I have recently just nominated 11 nail bloggers with under 200 subscribers (which you can see HERE if you haven't already) and so because I have already done this really recently I didn't want to repeat the same people again. Here are a few of my other favourite recently new nail bloggers but I hope you don't mind if this isn't the grand total of 12 (although if you add the 11 from before and the 6 from now there are 17 bloggers that I have mentioned.) Go and check them out as they are all amazing blogs and well worth the recognition. Thank you again to Laqueerisa who nominated me for this award, it been overwhelming that I've only been blogging for just over 2 months and I have received 2 awards! Thank you also to my subscribers, it's so nice to know that people are reading what I'm writing and find my post interesting! Basically one big thank you to you all, it means the world to me that you stopped by to read this!